adesso insurance solutions GmbH is a privately owned company headquartered in Dortmund, Germany. Their policy administration system for life insurance is in|sure PSLife . 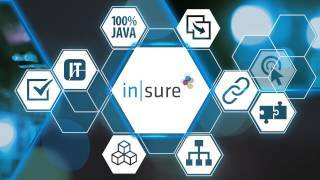 in|sure PSLife has become, in less than 10 years, a major policy administration system in ais's home market, Germany. Indeed, five German insurers are using in|sure PSLife. It offers a great balance between advanced features and functions - especially in product configuration and modern technology.